A concentrated eye serum to soften and smooth fine lines and wrinkles, while helping to reduce the appearance of puffiness around the eyes. Hydrating Microalgae works to lift and firm, Golden Root brightens, while Inca Inchi Oil deeply nourishes. Suitable for maturing or dehydrated skin types. Water (Aqua), Prunus Armeniaca (Apricot) Kernel Oil, Glycerin, Betaine, Phenoxyethanol, Oenothera Biennis (Evening Primrose) Oil, Plukenetia Volubilis Seed Oil, Rosa Canina Fruit Oil, Sorbitol, Inulin Lauryl Carbamate, Pentylene Glycol, Xanthan Gum, Pullulan, Saccharomyces Cerevisiae Extract, Sodium PCA, Avena Sativa (Oat) Kernel Extract, Caprylyl Glycol, Algae Extract, Sodium Lactate, Ethylhexylglycerin, Benzoic Acid, Dehydroacetic Acid, Rosa Damascena Flower Oil, Sodium Hydroxide, Rhodiola Rosea Root Extract, Potassium Sorbate, Sodium Benzoate, Glucose, Citronellol, Geraniol, Phytic Acid, Chondrus Crispus Extract. 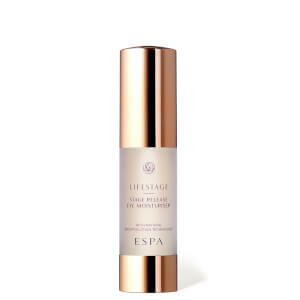 I have been using Espa products for many years. After purchasing and using the Serum, I noticed that my skin below and above my eyes (just below the brow bone) started to puff up and the skin became dry, even though I had followed the instructions exactly, extremely disappointing. I stopped using this for a couple of months and my eyes return to normal. I gave the product a second chance and after the first use, my eyes were swollen and sore. As recommended, I did follow with the Lift & Firm Moisturiser on all occasions. Both of these products will now be going in the bin, such a waste of money! I will not purchase these products again. I've been using Espa products for around 5 years now & have always been very happy with my selections. As I'm getting older I decided to try the Lift & Firm Intensive Eye Serum (& moisturiser) & after a few weeks can't say I see any improvement. 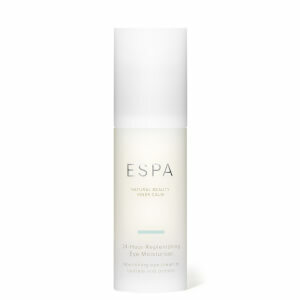 The usual 'ESPA' fragrance is missing but what is really putting me off is that the serum is sticky! At first I thought I must be applying too much but even when using a very small amount it is still sticky. When the serum is absorbed the skin around my eyes still feels tacky & when I apply the L&F moisturiser it is better but eye makeup doesn't adhere as it usually does (even when applying hours later). I have the same result whatever I try. I don't have sensitive skin or many lines (yet!) but was hoping it would help with heavy eyelids & dark under my eyes. No benefits so far & don't like using it so I won't be purchasing again. 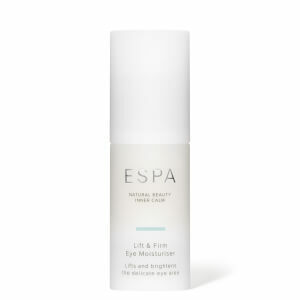 Really disappointed as this is the first time I have disliked an Espa product. Really good eye serum working as it should. 1 pump is maybe too much to have around the eyes. Unpleasant odor, after applying cream, the skin becomes hotter. Used a week. The skin under the eyes became worse, small wrinkles appeared. pulls the skin. Has stopped to use a cream, the skin has improved. I will not buy it anymore. This is a truly amazing eye serum that does make a real difference to the whole appearance of the eye. It is quickly absorbed and you feel and see the results immediately. I have been using the Lift and Firm Intensive Eye Serum with the 24-Hour Replenishing Eye Moisturiser for a few years now and I can honestly say that they work miracles for the eye area. I highly recommend them. Many thanks for the excellent customer and delivery service.